SKB guitar cases have set the standard for ABS molded plastic transport protection for 30 years. 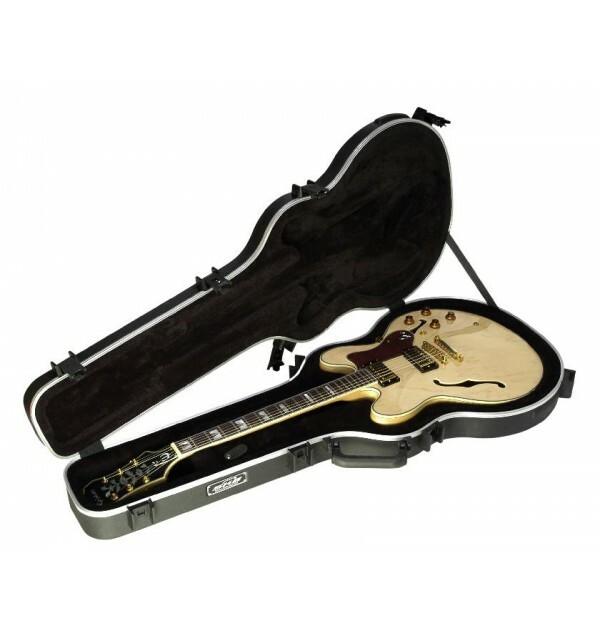 Guitar players worldwide recognize the superior design features and quality manufacturing standards inherent in every SKB guitar case.The SKB-35 has a restyled interior to accommodate a wider variety of 335 Style semi-hollow body guitars, including guitars that are fitted with a Bigsby¸ tailpiece. The latches are made of indestructable fiberglass reinforced nylon and include a TSA recognized and accepted lock. The over-molded handle is comfortable and perfectly balanced. The SKB-35 case features molded-in bumpers for protection, a "tongue & groove" valance to keep dust and moisture out.